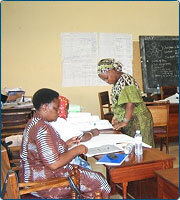 The Health Service Transformation Plan Development was conducted in partnership with Health Systems Trust (HST). Working with HST, Health Partners Southern Africa facilitated the formulation of a ten year strategic plan on the future development of the health sector in the Eastern Cape Province (ECP) in South Africa. Through field study, the project focused on identifying appropriate health management priorities and best practise solutions for improving health care in ECP.